When it gets hot, where do you go? Someplace with shade, breezes, and a good connection to the power grid! That puts the Weed Heights RV park high on the list for a July Rally. See the photo gallery of the SNU Rally at Weed Heights. This place is just outside Yerington in Lyon County about 30 miles southeast of Carson City as the crow flies (32 miles bearing 111). It is near the company housing for the retired Anaconda Mine. With the price of copper these days, there are some interested in going through the 360 million tons of tailings again. The EPA has spend the last ten years trying to find cause to label it a supersite for waste. They’ve spent a lot of money haven’t been able to make the case (yet). Next year, the plan is to be there when the A Night in the Country will liven up Yerington. The event is a benefit to the Boys & Girls Clubs of Mason Valley. There is dry camping at the Fairgrounds and it looks like that will be one big 24×7 party time there for the weekend. The Weed Heights RV park is about 3 miles west and will serve as an overflow area or a camping spot for folks who want to spend the night sleeping or whatnot. You can tell the event managers have some experience as they ban booze, guns, and even pocket knives on premises along with video recorders and laser pointers. If you don’t like the rules, then look for Burning Man a bit later in the year … or maybe Hot August Nights, the Balloon Races, the Air Races, or some other event — lots going on in Northern Nevada. A place to camp, or something else? “The US Forest Service has built more campgrounds, by far, than any other entity in the world. 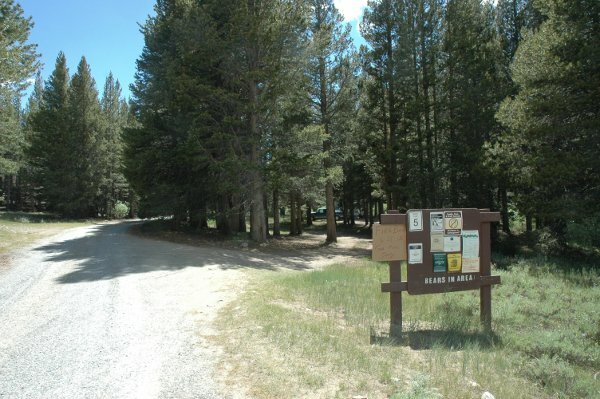 For decades, particularly in the western United States, the USFS had a very clear idea about what they wanted in a campground — they wanted it to be well-integrated with nature, simple, and lightly developed. They eschewed amenities like pools and playgrounds and shuffleboard. They avoided building structures except bathroom and shower buildings. The camp sites were simple, often unpaved with a table and fire ring and a place for a tent. They used nature itself to make these sites beautiful, keeping the environment natural and creating buffers of trees and natural vegetation between sites. I have never seen an irrigation system in a western USFS campground — if it doesn’t grow naturally there, it doesn’t grow. 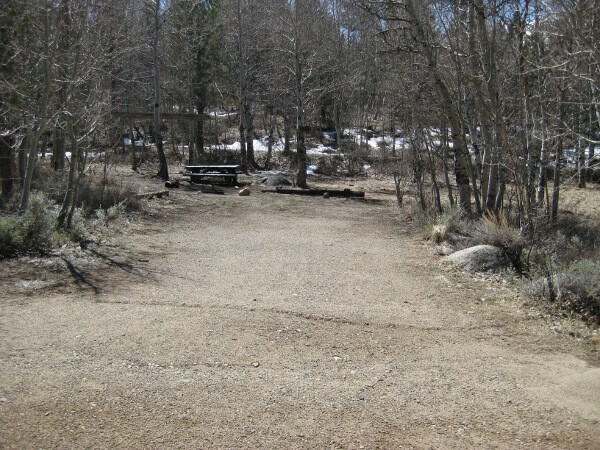 The BLM and USFS both follow this idea but other agencies appear more prey to the ‘PC Campground’ problem – like maybe state and local park departments. Agencies that use public facilities as bragging points tend to miss one big market. Some people just want to camp in the woods and wilds. If they want a resort or to hold a convention, they’ll find a place that does what they want. Dispersed camping is popular in large part because it doesn’t offer anything except access to the land. 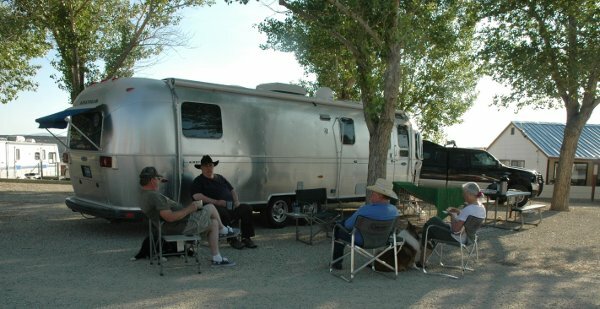 Most RV’s are fully able to spend a weekend off grid and take out anything and everything the bring in. Doing that is the essence of ‘sustainable’ and the idea of leaving no indication anyone was there at all. The July rally will be at Weed Heights near Yerington The dates are Thursday July 18 to Sunday 21, 2013. What some people do with an Airstream trailer. One example is Edwin Tuft. See the pictures! See the photo gallery! Most of the pictures here are of the lower informal campground on NFS land. The similar upper camping area is more suited to smaller vehicles and tent camping along the creek. 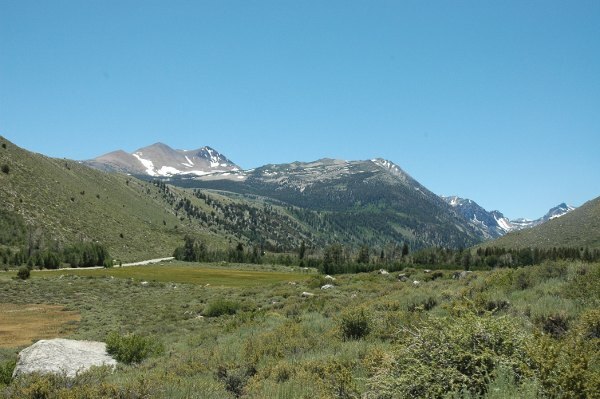 Beyond that is the Trumbull Lake campground where you can make reservations online. It runs down that canyon! There are two photo galleries, one for the SNU June 2013 rally and the other with scenery in the area. See the links on the Green Creek page. This is at a conjuntion of BLM, NFS, and California State Wildlife areas with dispersed camping at spots alongside the creek. The road up the canyon is very rough and rises about 1500′ over 7 miles with moderate grades. The turnoff is from U.S. 395 halfway between Bridgeport and Conway Summit and just a bit north of the turnoff to Bodie. Consumer News has its Summer driving tips to help prevent a road trip catastrophe and it is worth a review. Check tire inflation, don’t overload, visually inspect, check the spare … good stuff! Here’s a possible place to stop if travelling on US 395. It’s just a bit north of Bridgeport 38.2973N 119.4470W off Little Walker Road on Molybdenite Creek. Note that CA 108 is Sonora Pass, the second highest in the Sierra Nevada. CA 108 over the pass has some extremely steep grades and is not a recommended route for RV’s. Use Tioga to the south over to Yosemite, a bit higher but a better road with more manageable grades, or highway 88 to the north to get over the mountains.